Sleepzone has put together some excellent combo packs. These packs are specially priced to give you the best values in the market. We paired products that our customers have told us go great together. Because of the discounts allowed from our supplier partners, each pack has a huge discount. 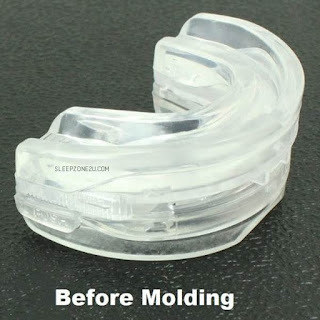 The Snore Eliminator™ PRO is an advanced medical grade device that is designed to deliver maximum comfort and clinical effectiveness in reducing snoring. 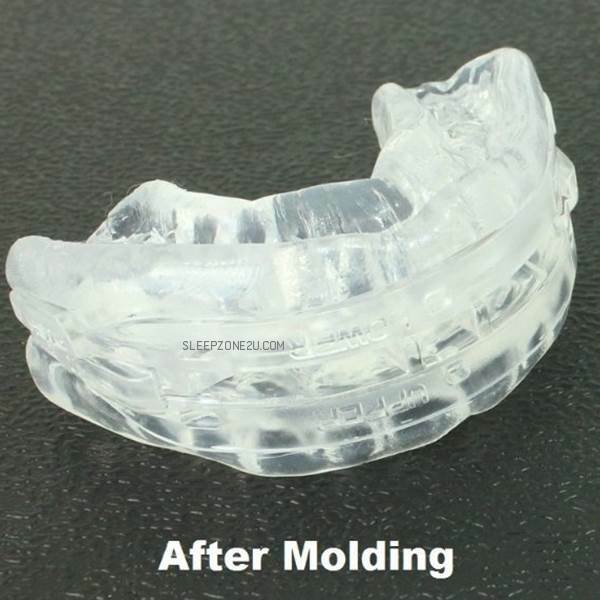 Just released hot off the engineering block, the fully adjustable Eliminator PRO allows you to advance the position of your jaw by 1mm increments, up to 10mm, as needed to ensure optimal comfort, performance and control of snoring. Sleek design, Custom fit, Small in the mouth. Made from non-toxic, hypo-allergenic thermoplastic. BPA free. 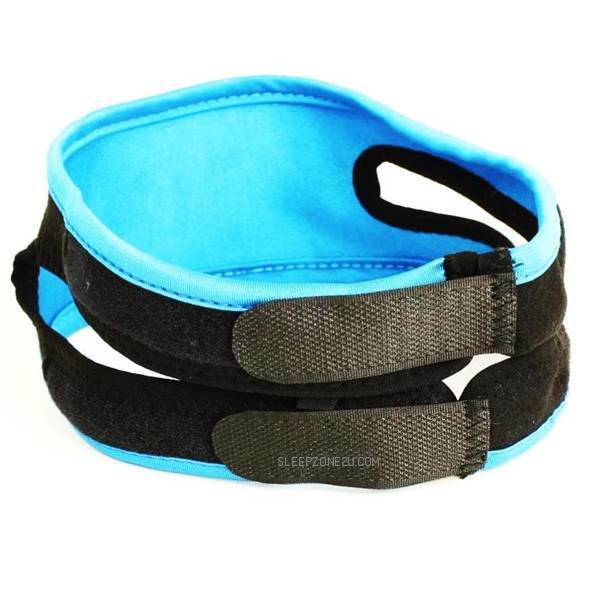 The Snore Eliminator™ premium Velcro-adjustable chin support strap designed to hold your lower jaw in a forward and closed position so you won't snore. This will prevent the lower jaw from falling back and closing off the airway in your throat. Can work with your CPAP mask. 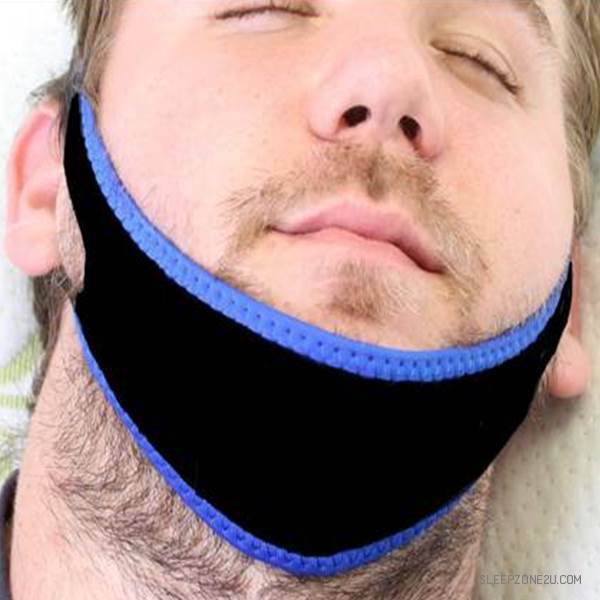 The Snore Eliminator™ chin strap assists in keeping the jaw and mouth closed, thus forcing the mouth snorer to breathe through the nasal passages. When your lower jaw is held in a forward and closed position, the muscles and tissues that were once "clogging" your airway and causing you to snore are no longer impeding airflow. With an open airway, snoring can be greatly minimized. The Snore Eliminator™ chin strap features vertical design that promotes a vertical angle of force on the chin (as opposed to horizontal) in order to reduce the potential of inducing sleep-related events. 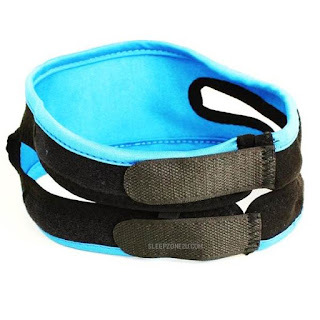 The adjustable support strap that attaches to a split section of the chin strap and wraps around the back of the head for the ultimate in stability and adjustability. Against popular belief, research has found that nearly everyone snores occasionally – including women! About 24% of adult women are habitual snorers and snoring tends to become even more common as women age or while they are pregnant. Snoring tends to be more accepted as a problem amongst men as women are seen to be the epitome of femininity and style – but snoring certainly doesn’t stop affecting certain sufferers due to these factors! ► How does the Mouthpiece Works? ► How to Mold A Mouthpiece?